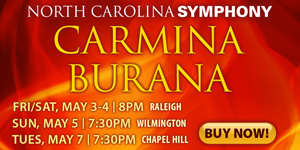 This preview has been provided by the North Carolina School of the Arts. The A.J. 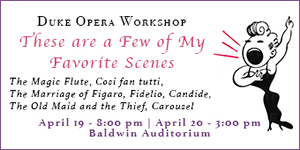 Fletcher Opera Institute at the University of North Carolina School of the Arts will present George Frederick Handel's "Rodelinda," conducted by Stephen Stubbs, a Grammy Award-winning specialist in Baroque opera, beginning April 16 in the Agnes de Mille Theatre, 1533 South Main St. 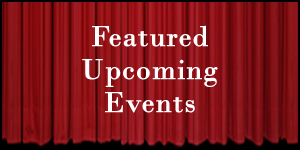 There will be three performances: at 7:30 p.m. on Tuesday, April 16 and Thursday, April 18 and at 2 p.m. Saturday, April 20. Tickets are $25, $20 for students with a valid ID; to order tickets, go to www.uncsa.edu/performances or call the box office at 336-721-1945. Steven LaCosse, Fletcher's managing director, is staging the production, which will be sung in Italian with English supertitles. The other Fletcher fellows appearing in "Rodelinda" include Wagner Pastór and James Smidt as Grimoaldo; Andrew René as Garibaldo; Brennan Martinez as Eduige; Mason Taylor as Bertarido; and Kathleen Felty as Unulfo. Taylor, a countertenor, likened his work on "Rodelinda" to "stepping to a time machine" where, for example, castrati dominated operatic stages and virtuosity manifested itself in such qualities as vocal agility and breath control. "There is nothing quite like Baroque opera," he said. "The music can be quite difficult, technically speaking, to execute as these roles were written for specific people in the eighteenth century to showcase what they had within their vocal capabilities. The repertoire doesn't allow you to push or to strain when singing. You can't bear down on the voice. You must always be on your toes and always actively thinking about your phrasing and your breath." LaCosse echoed these sentiments, pointing out that opera in Handel's day "was about the singers." "The singers were the superstars," he said. "People didn't expect great drama; they expected great singing." At the same time, in the forthcoming "Rodelinda," LaCosse sees an opportunity "to cultivate the story a bit more." 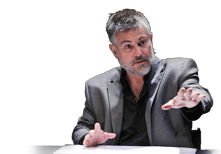 "We can dig through those arias and figure out what the emotional journey of the character is or how we can advance the plot through the arias," he said. "Rodelinda," with a libretto by Nicola Haym, premiered 1725 at the King's Theatre in the Haymarket, London. In it, the mighty Grimoaldo has defeated Bertarido, King of Lombardy, and usurped the throne of Milan. Bertarido is forced to flee the city, leaving his wife, Rodelinda, and his son, Flavio, prisoners of Grimoaldo. As rumors of Bertarido's death circulate, Grimoaldo plots how to legally take possession of the throne. Meanwhile, a very alive Bertarido makes plans to rescue his wife and son from Grimoaldo's clutches. "The story is interesting," LaCosse said. "It's about power. It's about underlings manipulating people in power." Lacosse said exposing students to Stubbs' expertise with repertory will help prepare them for roles in professional opera. "Handel and his contemporaries are very much coming into the repertory. We are very fortunate to have Maestro Stubbs here to work with fellows in the Institute as well as members of our orchestra." Angela Vanstory Ward a principal vocal coach in the UNCSA School of Music, is preparing the production's singers. They are working with P.G. Hazard, a staff coach/accompanist for the Fletcher Institute and a recent graduate of UNCSA's Collaborative Piano program, where she studied with Allison Gagnon. 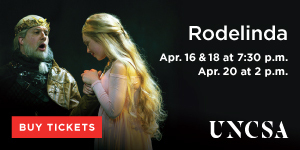 The "Rodelinda" designers from the UNCSA School of Design and Production include Manika Gupta, scene design; Clara Ash-Moore, lighting; Melissa Thurn, costumes; and Jill Sawyer, wigs and makeup. Emily Krtizman is the production's stage manager. In 2007 Stubbs established his new production company, Pacific MusicWorks (PMW), based in Seattle. He is the permanent artistic co-director of the Boston Early Music Festival (BEMF), recordings of which were nominated for five Grammy Awards. Also, in 2015 BEMF recordings won two Echo Klassik awards and the Diapason d'Or de l'Année. In addition to his ongoing commitments to PMW and BEMF, recent appearances have included Handel's "Giulio Cesare" and Gluck's "Orfeo" in Bilbao, Mozart's "Magic Flute" and "Cosi fan Tutte" in Hawaii and Handel's "Agrippina" and "Semele" for Opera Omaha. He has conducted Handel's "Messiah" with the Seattle, Edmonton and Birmingham Symphony Orchestras.